The Pidgen Music acts were as usual lively when speaking yesterday on the Brown Berry Show on Choice FM 102.3 – an Accra-based urban radio station. M3nsa [a member of the group] who has worked with Rockstone before, initially admitted how the latter has influenced their [FOKN Bois’] work positively but was quick to voice out the group’s disappointment in the latter’s inaction to show up on the shoot. He said when the time comes and you contact Reggie he will tell you I am busy doing one thing or the other. 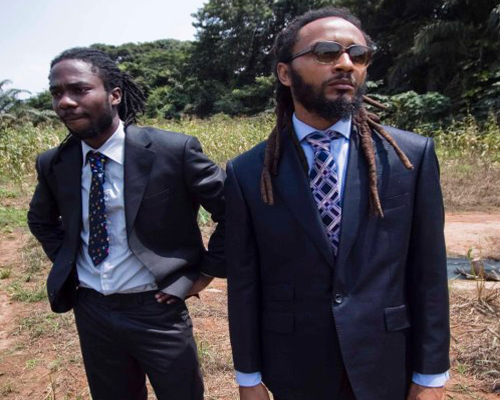 The duo admitted Rockstone was casted to be the ONLY rapper [aside FOKN Bois] to feature on the movie but was always finding excuses anytime they go on location for the shoot. This issue cropped up when a fan asked M3nsa [a member of the group] whether it is true that he used to write some of the rap lines for Rockstone which the former admitted yes but they used to write together. I adore FOKN Bois’ “Coz Ov Moni” because of its originality and investigations reveals that the duo are planning to have a second one following the success of the maiden one.